Meandmybicycle получает 0,00 HUF в неделю от 0 спонсоров. my name is Adorjan Illes and I have been traveling around the World since Jun of 2015. 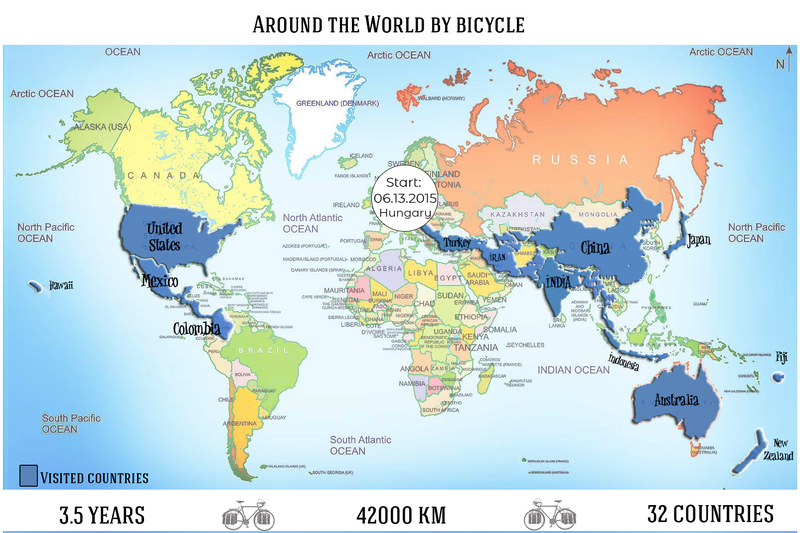 I started to travel from my country Hungary and I turned the bicycle wheels first towards Asia. After cycling throught Asia in 1.5 years, which is an interesting, magical continent, I flew from Bali - Indonesia to Australia. I traveled there from Perth to Sydney, then I spend 50 days cycling in New Zealand. Then I went to Fiji Islands which is a country of happy people. From Fiji I flew to Japan where I could experience the humbleness of the Japanese people the beauty of the Japanese girls and the magic of the Japanese park. I got impressed by the Japanese culture too. Then I went to Hawaii and from Oahu I flew to Portland Oregon. From there, on the West Coast of the State I cycled to San Francisco, Los Angeles and San Diego and then I entered to Mexico through Baja California. 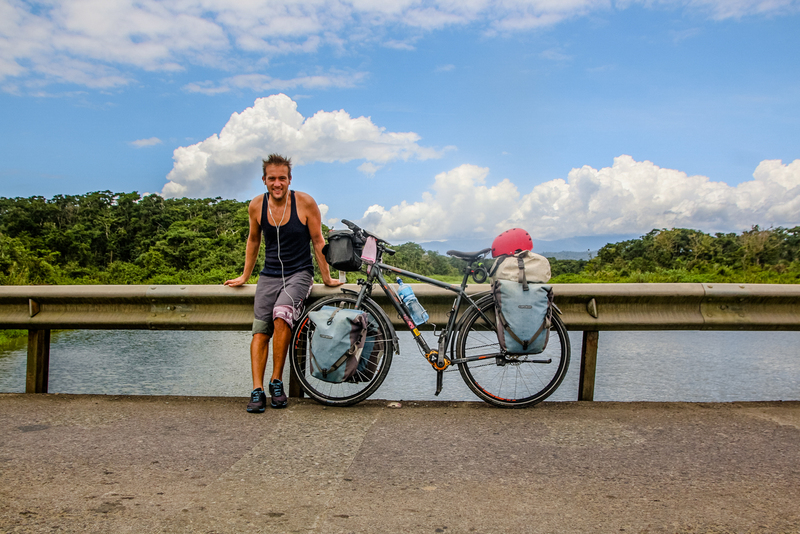 Then I cycled through the entire Central America and went to Colombia which became my new favorite country. The kindness and openness of the people there is just the next next level . I am at the southest part of Colombia now, in Pasto, from here I go towards Ecuador and Peru. If I got blessed enough and get donations I will be able to visit Maccu Picchu before I fly back to Europe (probably to Lisboa) and cycling back home to my country Hungary. Meandmybicycle присоединился 3 месяца назад.